Transcend Medical Group (Pantego) - Book Appointment Online! 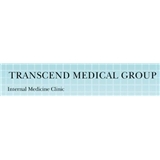 Welcome to Transcend Medical Group! Transcends' focus is to provide personalized and state-of-the-art primary care for adult patients. Our attention is in the prevention and early detection of disease and for the delivery of quality health care for chronic illnesses. Dr. Nguyen has been practicing Internal Medicine as a specialty since 2005. Dr. Nguyen’s core belief is that medical care at the highest level takes time, with the utmost attention given to detail. Our collective goal as a group is to deliver the highest quality care in a timely, efficient and caring manner. We keep patients and their families well informed and place a high value on patient and family education. We make every effort to facilitate high quality, prompt, and efficient care in a sensitive and responsible manner. Dr. Nguyen’s practice is designed to diagnose and treat serious illness. Dr. Escamilla is very sweet, polite, and professional. Staff was a little rude but her manners made up for it.